I'm a big fan of Ellen Degeneres and love following her on various social media platforms. I love that I still get to catch the highlights of her show even though we no longer have cable! 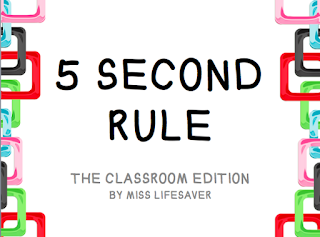 Last week, she posted this hilarious clip of a game called 5 Second Rule with Pamela Anderson. If you haven't seen it, I highly suggest taking a three minutes out of your day to watch video! I immediately checked the app store to see if this was something Ellen created like her Heads Up game, which I ADORE! Sadly, this is not her game, and I sure didn't want to shell out $15-$35 for the real version. After my search for a digital version came up empty, I decided to make my own version of the game, suitable for classroom use. And after about 5 hours staring at PowerPoint, I have a version to share! I plan to play this with my students tomorrow on our last day of school. Since grades were due Tuesday, this has been a week of movie watching, and while that's convenient and easy for our teachers, it makes for a long, boring day for our students. Tomorrow, we have each of our classes for about 30 minutes before lunch and our big Tiger Bash (basically a field day with a bouncy house). Instead of filling the morning with yet another movie, I decided to host a game day with my kids. After all, this is probably the last opportunity many of them will have for any organized activity for weeks to come! 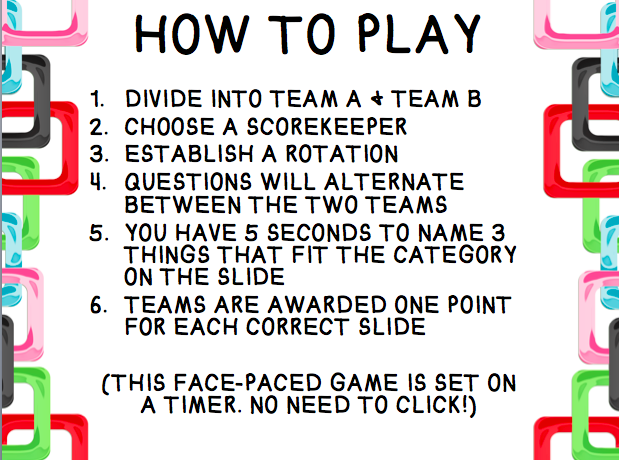 The game includes 64 questions and is set to a timer, so you can pretty much hit play and let the game run itself (except that you do need a scorekeeper because I haven't quite figured out how to make that work in the template I created. 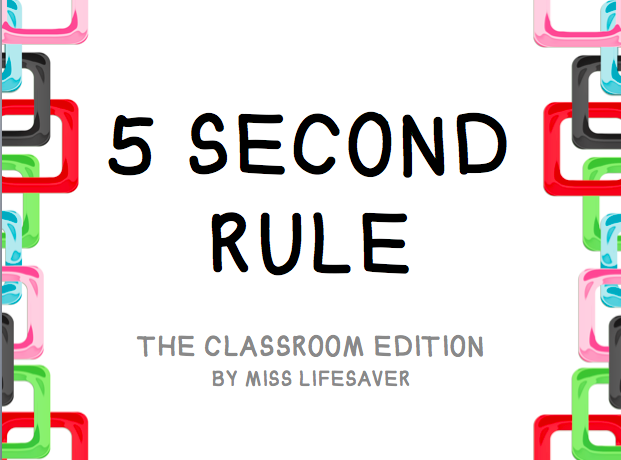 It's pretty fast-paced game, which is sure to help hold your students' attention in these last hours before freedom! Would love to play this in class.